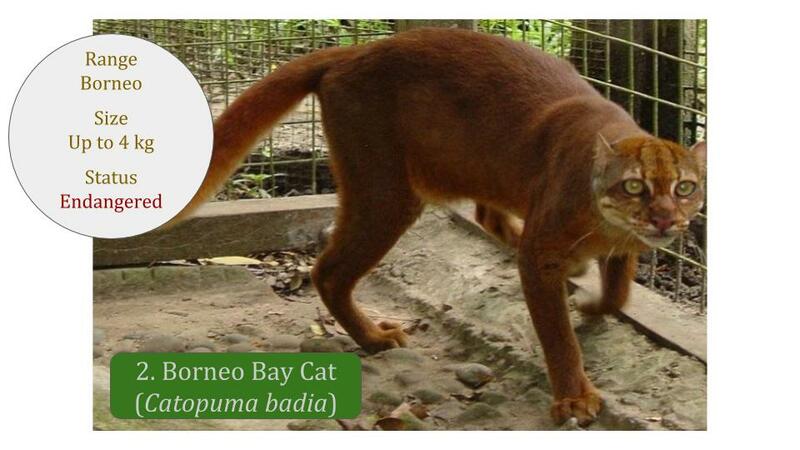 The Bay Cat Lineage consists of three varied cats in the Pardofelis (‘panther cat’) and Catopuma genera. 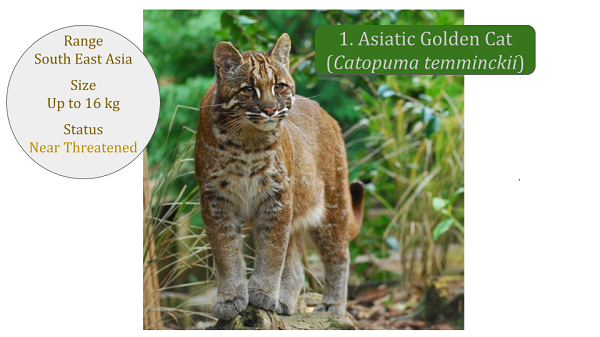 These cats inhabit the forests of South East Asia and have been little studied. The Bay Cat lineage is the second oldest Felidae lineage to diverge from the ancestral cat species in Asia at 9.4 MYA and three species evolved in South East Asia. Copyright: Global Canopy Programme. Photo by: Jo Ross and Andrew Hearn. (with permission) Image Source Please do not Copy or Share without permission. 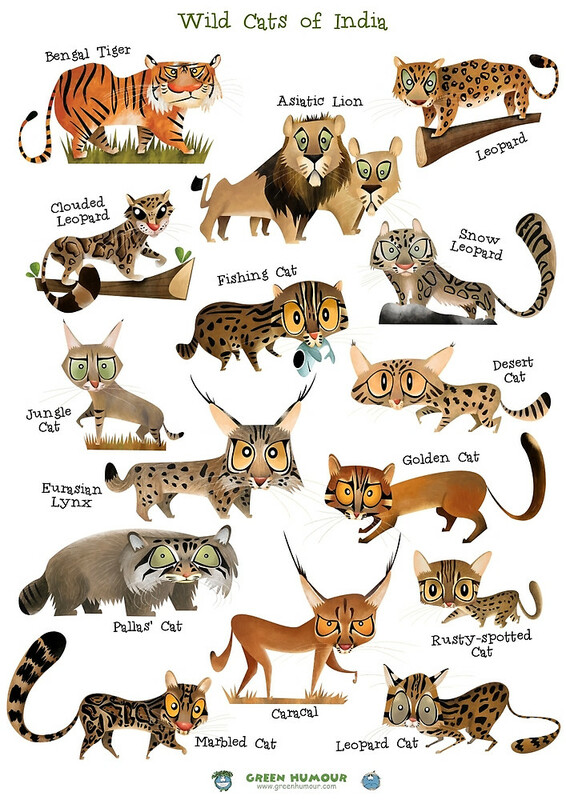 Other small Asian wild cats are grouped under the Felis lineage and the Leopard Cat lineage and the big Asian cats under the Panthera lineage. Click through on the images, videos and fact sheets above to find the answers to this quiz. Good luck! 1. What type of habitat do these three cats occupy? 2. Which cat was thought to be extinct until recently? 3. Which cat only occurs in Borneo? 4. 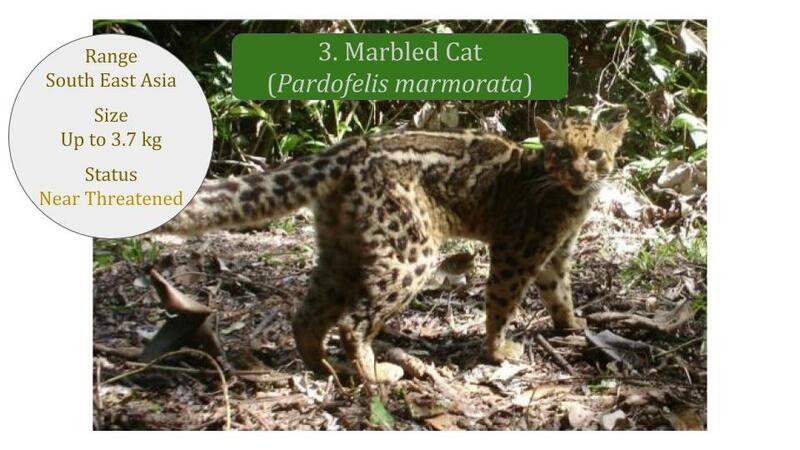 Which other cat is the Marbled Cat similar to in coat pattern? 5. 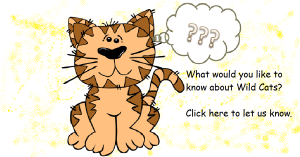 Which cat has a counterpart in Africa although they are not related? 6. Which cat lives primarily in trees?